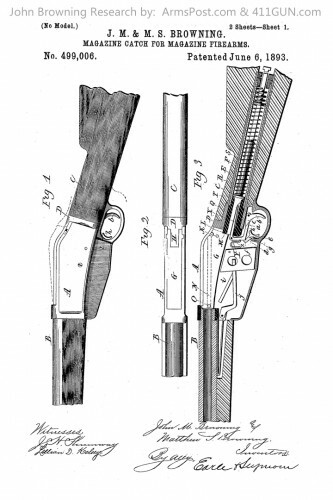 On June 6th, 1893 John Moses Browning was granted US Patent 499006 with a classification of a Magazine Catch for Magazine Firearms. This firearm uses a stack mag with clip insert. 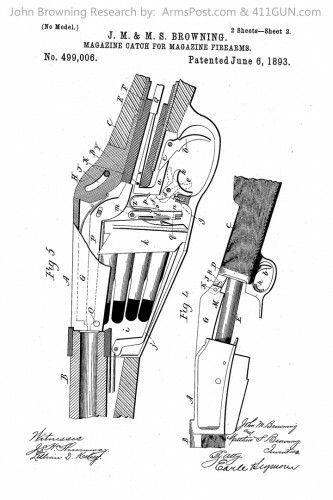 John Browning had applied for this patent on September 19th, 1892.